What a great bit of fun this is going to be. This blog tour allows you learn more about the authors you know, and discover new writers you don't. I really must thank +Selah Tay-Song for thinking of me for the tour. Let me introduce her to you now. 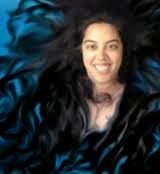 Selah J Tay-Song is the author of an amazing epic fantasy novel called Dream of a Vast Blue Cavern. I am a huge fan of epic fantasy and when I read it I couldn't put it down. I am now eagerly awaiting the next book in the series, Dream of a City of Ruin--the series which which may end up being 6+ books according to Selah. You can learn all about the story world and the series on the Dreams of QaiMaj website. And you can learn more about the author on Selah's website. So now let me get to the next part of the blog tour, where I answer a few questions about myself! Right now, I am working on a fantasy novel called Little Lacey. It started as a Young Adult fiction, but it's been seeming a little bit more like a middle grade fiction as I develop it. Lacey is a bat-girl. When her human mother wished at a magic well for a daughter, the well transformed a young bat into a young six-year-old human--well mostly human. Lacey is having a hard time. Kids tug on her pointy ears, and her instincts drive her to bare her fangs and hiss. And she is a teenager now, she feels pressure to grow up--to behave like a human and not a bat. When she gets lost in the haunted Wish Wood, she discovers a whole new world and new possibilities. I have been posting chapters a couple times a week on Wattpad, so if you would like to follow my progress and give me feedback on how I could make it better, I would love to have more eyes on it. You can follow Little Lacey's story here. I have to admit to being a relative beginner as an author. And I think when you are a beginner you start out writing stuff that isn't much different from what you read. But I am always improving, and my stories often take on a life of their own. In this case, Little Lacey is a fantasy which dips a little bit into science fiction. The story is a fantasy, but the story world has a science fiction origin. It is a world set in the future on a distant planet where a small colony of Earth origins has been set up. The colony is cut off from Earth, so it is very rustic. Even though it was established to be a Utopia where people rely on and don't pollute the land, I thought to myself the founders would not leave them totally helpless. What technologies would they have? So the world is a curious mix of back-to-the-land and technology. Well, that is a tough question. Where does it come from? I usually start with an idea that came to me, sometimes in a dream, sometimes in a day dream, sometimes from a writing prompt. I get a lot of these ideas, while I have been writing Little Lacey I have had about 5 or 6 new ones. And I need to write them down. I have no clue why. I guess I need to share what the muses send me. I don't think I have done this enough to have much of a process but I can tell you what I have done so far. I get an idea, usually about a character or a situation. Then I develop the story world, characters, and plot a little more. If I am working on something else the development may percolate for a while, I jot notes down here and there. If I am eager to get started I try to take at least 2 weeks to work on it before I start to write it, though sometimes I may write a scene here or there. Then I write it all the way to the end. (The trick is not getting so obsessed with the beginning that you never get to the end.) Then I start the brutal task of editing, and truthfully rewriting, to turn it into something that makes sense. And I try my hardest not to get distracted by other ideas during all that. Something new I have been trying are write outs. I am meeting fellow writers at coffee shops and just spending the day writing with them. I never tried it before because I always thought I would get distracted by my friends. But actually it is keeping me writing a lot more than before, because of the accountability. Not only did I tell my friends that I was going to write, but they are right there watching me do it. +Jesikah Sundin is a sci/fi and fantasy writer. 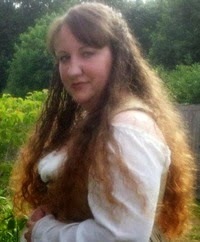 Her debut novel Legacy is the first in a trilogy she is writing called The Biodome Chronicles. She is currently working on a book two, Elements. Discover more on Jesikah's website. I am currently in the process of reading Jesikah's first book, Legacy. I would describe it as a kind of cyberpunk meets medieval re-constructionist society. Two things you would never have thought to combine! It has a utopia/dystopia juxtaposition that you just have to experience for yourself. In one world you have kids who are denied their adulthood. There is no room for them in society, no jobs waiting for them. In the other world adulthood is thrust upon children at young and tender ages. They have responsibilities and expectations weighing on them at every turn. Reading this book offers front row seats to watching these two radically different worlds collide in slow motion. I can't wait to see how it ends.